We apologise for the delay in distributing this edition - we have been experiencing technical difficulties. Trade Support Loans provide apprentices with more financial support when they need it most. The loans will provide substantial support to eligible apprentices to assist them with the costs of living and learning while undertaking an apprenticeship. The Trade Support Loans Bill completed its passage through Parliament and the programme has started to receive applications for Trade Support Loans. The result is a well-designed programme underpinned by legislation that will deliver skills for a changing workforce and assist in the future productivity and competitiveness of Australian businesses. The programme will deliver loans to apprentices in priority occupations and will be paid in instalments totalling up to $20 000 over four years. The loans will assist apprentices with everyday costs while they complete their apprenticeship. Australian Apprentices will only have to begin repaying the loan once they reach a sustainable income which is currently in line with the Higher Education Loan Payment repayment threshold. The programme involves payments to the apprentices and then collection of their repayments back through the tax system. As an incentive to complete their training, apprentices who finish will be eligible for a 20 per cent discount on their loan which could be as much as $4000. The loans are interest free but indexed with the CPI. Current apprentices are able to opt-in for a Trade Support Loan in line with the year of their apprenticeship. The loans are flexible to meet the needs of each individual and an apprentice can borrow a small amount, say $1000, or the full $20 000 over four years. 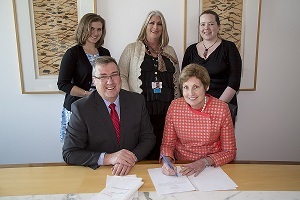 Photo: Signing of the Secretary’s delegations for the Trade Support Loan programme (Back row, L to R: Claudia Cuskelly, Tracey Murphy and Rachel Pomroy. Front row: Craig Robertson and Department of Industry Secretary, Glenys Beauchamp). In line with the Government’s vision to enable growth and productivity for globally competitive industries, the 2014–15 Budget outlined $476 million for the Industry Skills Fund. The new Fund will commence on 1 January 2015, and will offer 200 000 training places and support services for eligible businesses over the next four years. A discussion paper (PDF, 450 KB) has now been released. The Australian Government is interested in receiving feedback from stakeholders and businesses on the design and delivery arrangements for the Industry Skills Fund. If you are interested in making a submission, you can do so online. Submissions responding to the discussion paper must be received by 7 September 2014. If you have any further questions about the Industry Skills Fund or the submissions process, please do not hesitate to email or call 13 28 46. Running from 25 to 31 August, the fourth annual National Skills Week will highlight the opportunities and career pathways available through vocational education and training (VET) as well as showcasing individuals and businesses from across Australia who have found career and business success with their engagement with VET, including many Australian Training Awards participants. This year’s theme is The Magical Mystery Tour of Skills, and hundreds of events are expected to take place all over Australia, including an inaugural event for career advisers in Sydney on 25 August. National Skills Week will be officially launched in Brisbane, Queensland, on 21 August. State and territory launches will also be held across all capital cities. For more information about National Skills Week, and to see a full listing of events and how to register an event, visit the website. It’s nearly training awards season! Each year, the eight state and territory governments host training awards programmes to recognise and celebrate excellence in their jurisdiction’s vocational education and training sector. 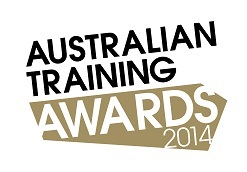 The culminating event of the season, the Australian Training Awards, recognises excellence at the national level by bringing together a combination of state and territory winners and direct entry award nominations to compete for a national title. NAIDOC Week has significant meaning for a number of Australian Apprenticeships Ambassadors. Indigenous apprentices and trainees Jadon Tree, Gayleen Majid, Ryan D’Souza (pictured, left), Jenna-Maree Jacob and Joshua Toomey have enjoyed personal and professional success as a result of their involvement with the Australian Apprenticeships system. Gavin Lester – former Canterbury Bulldogs and Sydney Roosters winger and current Apprentice Mentor in the Trade UP with the NRL programme – also has a close link with NAIDOC Week. Gavin is the managing director of Boomerang Constructions, a building services organisation that seeks to employ Aboriginal and Torres Strait Islander apprentices and tradespeople. Australian Apprenticeships Ambassador Joshua Toomey featured in the Who We Are: Brave New Clan documentary that was aired on Foxtel’s Bio Channel during NAIDOC Week. The documentary followed the lives of six exceptional young Aboriginal and Torres Strait Islanders and demonstrated how they engage with their communities, history and cultures. 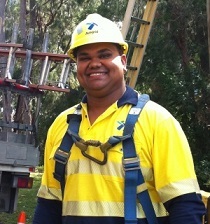 Joshua, an electrical lineworker with Ausgrid, was named Aboriginal and Torres Strait Islander Student of the Year at the 2011 Australian Training Awards before becoming an Australian Apprenticeships Ambassador. 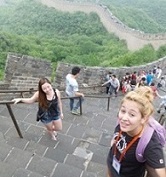 Australian Training Awards’ finalist and Australian Apprenticeships Ambassador Jessica Taggart (pictured left, at the Great Wall of China) is the latest to pen an Australian Apprenticeships Ambassador Column. In the blog post, Jessica shares her experience on the 2nd APEC Youth Skills Camp from the moment she found out she had been invited, and includes the three key things she learned about China’s approach to skills. To read Jessica’s insights into China’s VET system, visit the Australian Apprenticeships website. Tamika Mackrell first got involved with WorldSkills Australia in 2009 when she completed in a regional floristry competition. “I was in the second year of my apprenticeship and my college [Majorie Milner College] was hosting WorldSkills Australia Regional Competitions. I was encouraged to give it a go and I’m glad I did,” Tamika said. After receiving a gold medal at the Regional Competition, Tamika was selected to represent the Melbourne region at the 2010 WorldSkills Australia National Competition in Sydney, where her skills triumphed yet again and she took home another gold medal. Her gold medal success and passion for her skills granted her the opportunity to represent Australia as a 2011 Team Australia Skillaroo at the 41st WorldSkills International Competition in London. “I felt extremely proud to represent Australia and the floristry industry. It was a great privilege and I will never forget the experience,” Tamika said. To continue reading and learn what advice Tamika has for young apprentices and trainees, visit the WorldSkills Australia website. Do you have a bright idea that could make a difference? This year, as part of its $65 000 Innovation Challenge The Australian has opened up a new ‘Young Innovators’ category. Open to inventors under the age of 21, this category has a $5000 prize on offer. If you are a university student, VET student, school student or apprentice, you are able to enter. The scope of this category is also open-ended, covering any inventions and novel initiatives with the potential to make a difference to our lifestyles, environment, work or play. Entries close on 11 August 2014. For more information, including a list of categories, visit the Innovation Challenge website. IBSA’s online VET Capability Communities – thousands of views already! The IBSA VET Capability Communities were launched in February 2014 as part of IBSA’s online VET Community site. Since the launch, hundreds of people have joined the community and some of the blogs have had over 1000 views. The online communities provide practical content, blogs and discussions relevant to VET practitioners (teachers / trainers / assessors and managers). The aim is to create a professional and informed environment that supports quality practice and elevates the status of VET professionals and RTOs. Join the communities to post questions, blogs and respond to the discussions, download the library resources and be kept updated on what’s happening in the communities. Further information about the online VET Capability Communities is available on IBSA's website. More than 90 attendees came together in Wollongong, NSW, on 15 July to discuss issues related to increasing the size of the aged care workforce in the region. There is a plan to form a local action group of providers and partners. Attendees at the open day included the Community Services & Health ISC, NSW Department of Premier and Cabinet, Regional Development Agency - Illawarra and the Illawarra Forum. The Aged Care Illawarra Workforce Action Group is being championed by Mark Sewell, CEO of Warrigal Care and the regional chair for Aged and Community Services Australia (ACSA). If you are a local organisation interested in knowing more or being involved, please email Mark. Dubbo’s Western College is launching two exciting new programmes to help local students, parents and carers with a range of life skills. The Indigenous Parental and Community Engagement (PaCE) programme helps the parents and carers of both young children and high school students with a range of education and communication skills, to help kids get back on track with their schooling. While this programme is targeted at Aboriginal and Torres Strait Islander students, all parents and carers are welcome. Further information is available online. The Baby on Board programme, run by Western College’s Alesco Learning Centre, provides assistance to pregnant or parenting youth with a desire to complete year 10 studies and then pursue further education or employment. Free on-site child minding is available. Further information about this programme is available on the Alesco website. The draft new release version of units in first aid will be open for public consultation until 15 August. CS&HISC encourages you to take the time to provide your feedback. The first aid Subject Matter Expert Group signed off the draft of the release of units, HLTAID001 to HLTAID007, on 7 July 2014. Please note that HLTAID008 is not included in this review. For further details please visit CS&HISC’s training packages pages. Direct client care: aged care, home and community care, disability, leisure and health, health services assistance, allied health assistance, alcohol and other drugs, mental health. Visit the Qualifications under review information on the website for the latest updates. IBSA is pleased to announce the release of learning and assessment materials to support delivery and assessment of BSB31013 Certificate IV in Human Resources (BSBWRK411A Support employee and industrial relations procedures) and BSB50613 Diploma of HR Management (SBWRK510A Manage employee relations). The latest resources include student workbooks and facilitator and assessor guides (available on CD). review a full list of materials to support delivery and assessment of the Certificate IV in Human Resources and the Diploma of Human Resource Management. For a full list of available units, visit the IBSA online store or IBSA product catalogue. The proposed scope for draft two of the Fitness and Community Recreation training package components has been finalised and will be presented to the Industry Advisory Committee for approval on 24 July. Drafting will take place in August (pending approval) and it is expected that draft two will be ready for validation in September. The initial Sport SRG met on 18 July and the members focussed on identifying the current and emerging job roles and the overall structure of the qualifications. The Outdoor Recreation review has also commenced and the initial SRG meeting took place on 21 July. As with the Sport SRG, the focus was on job roles and the overall structure of the qualifications. For further information please visit SSA’s Sport, Fitness and Recreation Continuous Improvement page or email Elly Snyder. Have you recently watched MasterChef and wondered what it is really like to work in a restaurant? These three Australian Apprenticeships Ambassadors followed their dreams into the industry and have achieved amazing success. One of Australia’s best known chefs, Neil Perry (pictured, above left) knows that well trained staff bring value not only to his establishments but to the industry as a whole. Read more about how Neil believes Australian Apprenticeships benefit both the employer and the apprentice. After leaving his well-paying job to pursue his passion for food and cooking, Colin (pictured, above centre) was named the Apprentice of the Year at the 2011 Australian Training Awards and is now a fully qualified chef. Read more about Colin’s journey and what he did next. Since she was a young girl, Jessica (pictured, above right) has loved fine dining and restaurant service. After completing her Australian Apprenticeship, she went on to win a silver medal at the 2013 WorldSkills International Competition and now works at one of the world’s top restaurants. Read more about how Jessica turned her dreams into reality. The national conference theme is Connecting up – the power of possibilities. It will feature a range of impressive speakers, exhibitors and colleagues from both global and domestic tertiary education markets. Delegates have the opportunity to experience Perth as well as Fremantle. Come along and be challenged by thought provoking presentations in iconic and historical locations such as the WACA and Fremantle's first convict building. Walk away with new networks and ideas on how you may connect up and heighten your institution's competitive positioning… it's all about the possibilities! For further information on APIEF and the national conference, including registration details, please visit the conference website. Online registrations are now open for TAFE Directors Australia’s 2014 national conference, which will be held at Sydney’s Sheraton on the Park. The conference’s theme is Vision 2020 and will explore ways to increase productivity and ‘create dangerously’. Award-winning journalist Ellen Fanning will be the Master of Ceremonies. If you want further information, please download the conference flyer (PDF, 621 KB). Sponsorship and exhibition opportunities are available by visiting TDA’s website or sending an email. 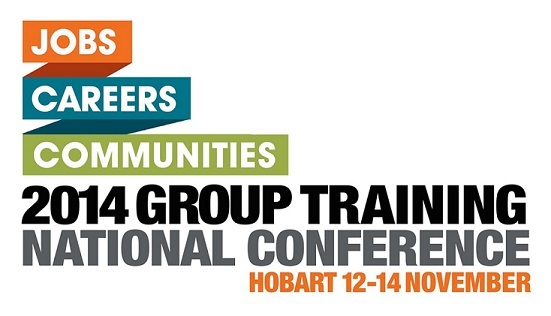 Online registration is open for Velg Training’s 2014 national VET conference, which will be delivered over two days. The conference will provide attendees the opportunity to engage in a wide variety of plenary and elective sessions over 11 and 12 September 2014 at the Brisbane Convention and Exhibition Centre. The theme for this year’s event is Impossible is Possible Together and will focus on bringing VET professionals together to discuss recent updates to the sector and best practices for RTOs, acting as a platform for networking and collaboration. With only six weeks remaining to the 2014 national VET conference, Velg Training is pleased to announce the 2014 motivational speaker; Li Cinxin. Day two of the conference will be opened with this special keynote session. Li's inspirational story will show how the impossible is possible. At the age of 11 he was recruited to the Beijing Dance Academy, where he learned discipline, resilience and determination. He later joined the Houston Ballet before joining the Australian Ballet in 1995. Recognised as one of the best dancers in the world, he has shared his story in the best-selling autobiography Mao’s Last Dancer, which has since been adapted to a film. He was named Queensland’s 2014 Australian of the Year. The VETnetwork Australia 2014 biennial national conference in Darwin provides an opportunity for VET practitioners from senior secondary schools and colleges, career and enterprise educators, training organisations, university academics, researchers, policy developers, consultants and industry to network, learn, interact and engage. This conference is set to attract over 300 delegates from all states of Australia and near world neighbours. Don’t miss your opportunity to hear from Australia’s bestselling author of Free Schools, David Gillespie. David began an investigation to assess the level of advantage his kids would enjoy if he sent them to private school. After continuing his research he discovered he was wrong on most counts when it comes to working out what factors deliver a great education. David will take a look at what the research tells us about the job based outcomes from education, including the degree that community engagement in the education process can change those outcomes. Also presenting is Dr Anthony Mann, Director of Policy and Research at the Education and Employers Taskforce (UK). Dr Mann has dedicated the last decade of his working life to researching, and then developing, employer engagement programs for schools, colleges and labour market programs. It was his 2012 research “It’s who you meet that stops you from becoming a NEET” that clearly evidenced the positive connection between employer engagement with students at school and the employability and earning power of a young adult who could recall that same interaction. More information about the conference, including the programme, is available on the conference website. The 2014 WorldSkills Australia National Competition will be held in Perth in September 2014. The three day event will see over 500 of Australia’s most talented students, trainees and apprentices, from 30 regions, battle it out for gold medal success and the prestigious title of ‘Australia’s Best’ in their chosen skill or trade. 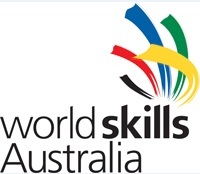 The 2014 national competitors, selected from the 2013 round of Regional Competition winners, are now listed on WorldSkills Australia’s National Competition website. For more information please visit WorldSkills Australia's website. Further conference information, keynote speaker profiles and the call for presentations, is on the conference website. If you would like to provide feedback, supply an article for inclusion in the next edition or join our list of subscribers, please email skillsatwork@industry.gov.au. The next edition will be published in September 2014. Submissions are due by 18 August 2014.